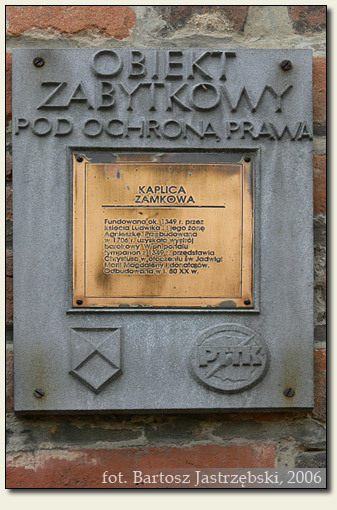 Driving from Rawicz down the road no 36 to Lubin, in town it is necessary to drive on straight ahead down the road no 335 towards Zgorzelec. Next head for the center and for the market square. From the market square go eastward along the Piastowska Street and there is the chapel on the left side. Lubin appears in historical sources already at the beginning of the XIIIth cent. These ones from 1227 mention the castellan seat whereas before 1295 the location of town took place. The castle appeared for the first time in documents at the beginning of the XIVth cent. The initiator of construction of the stronghold was probably the duke Konrad II of Żagań. 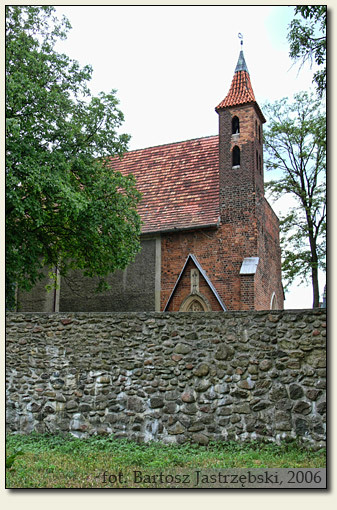 When in 1349 duke Ludwik I of Brzesko regained Lubin, enlarged the castle and it became his mansion for next 10 years. The structure was destroyed during the Thirty Years’ War was never completely rebuilt. 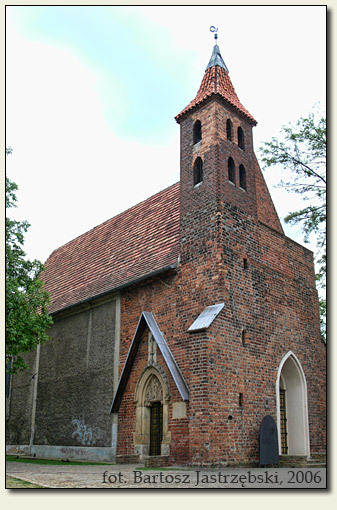 Only castle chapel, which was renovated after destructions of the World War II, has preserved until today.